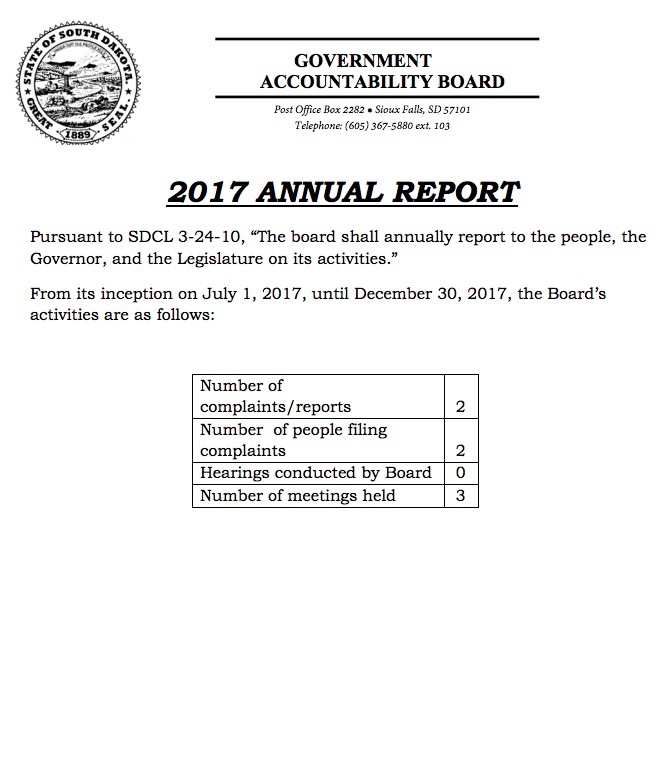 Government Accountability Board, 2017 Annual Report, approved 2018.01.22. GAB members acknowledged at their January meeting that it’s a “bare-bones” report, but members felt they provided exactly what statute asks for and avoided “dressing up” their report as other boards do. So far, GAB minutes show three complaints: GAB dismissed one as outside of its jurisdiction due to the alleged misconduct predating GAB’s statutory existence, delayed action on a second, and declared a third outside of its jurisdiction and referred it to DCI.